On Thursday, April 14th Jay Kreps, author of Apache Kafka and co-founder and CEO of Confluent, Inc. gave a presentation to nearly 100 Kafka fans at the inaugural Chicago Area Kafka Enthusiasts meetup. In addition to a brief primer on Apache Kafka, Jay introduced the new Kafka Streams feature available in the upcoming Apache Kafka 0.10 release. If you’re interested in learning more about Apache Kafka and Kafka Streams, I encourage you to watch the video of the presentation below and read Jay’s article Introducing Kafka Streams: Stream Processing Made Simple. Or better yet, download Kafka 0.10 and try it out! The meetup was hosted by Conversant and sponsored by Confluent and Cloudera (thanks!). 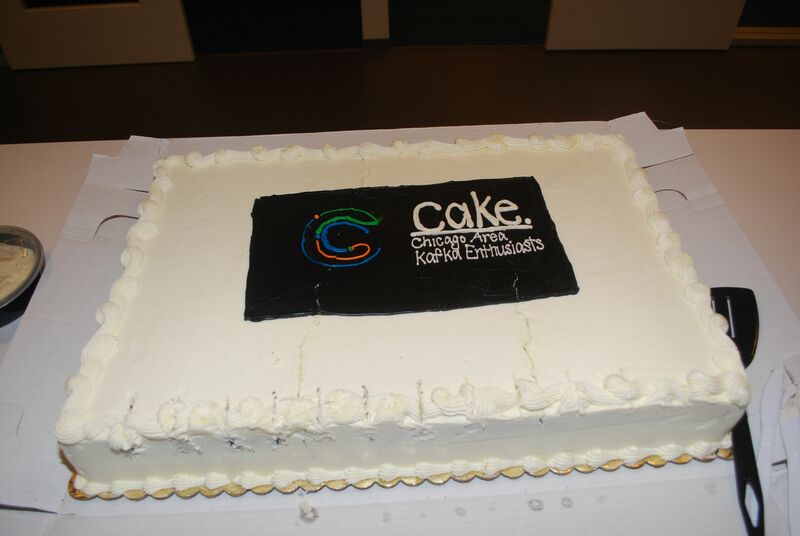 Photos from the event are viewable at the meetup site…and YES there was a cake. First CAKE Meetup Overview and Video was published on April 19, 2016 .